Some of the early settlers came to this part of the valley in 1886. Many more came in 1887 and 1888 and settled the eastern slope of the Goldfork area. The valley floor and west of the river weren’t settled until 1900-1904. Early settlers held land by “squatter’s rights”. The land wasn’t surveyed until after 1890. Later, the “squatters” secured land under the Homestead Act. The Act required that certain improvements be put on the land and lived in as a permanent residence for a period. All supplies were brought in from Boise, Emmett, Weiser and Salubria Valleys by six horse freight teams. A trip up from Boise to Roseberry with team and wagon took a week longer in bad weather. The first store was established in Roseberry by J.W. Pottenger and W.B. Boydstun in 1892. The first Post Office in this area of the valley was established 1892 with Lewis Roseberry as the first Postmaster. The town named for him is still known as Roseberry, though most of the buildings have been moved away or torn down. Cabins in the area were made of logs with a small amount of lumber brought from a swawmill on Clear Creek about 30 miles to the south. The first sawmill in this area was built by J.W> Pottenger and Mrs. Sult in 1892. It was located on Goldfork Creek and was run by Mr. Sult. Upper Long Valley was used as a summer campground by the Nez Perce, Bannock and Shoshone Indians.  Until 1915 they continued to camp along Willow Creek as they made their yearly trip to and from salmon fishing on the South Fork of the Salmon River. Cattlemen from the lower valleys used Long Valley as summer pasture in the early days and resented teh homesteaders coming. The homsteaders resented the cattle trespassing their fences and fields. The old timers still tell tales of the cattle wars that resulted. 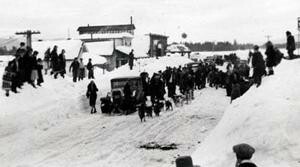 In the winter of 1888-1889 early settlers did not realize how deep the snow would get or how long it would stay. The preceding winter was mild with little snow. Pasture was available for cattle and horses all winter. The newcomers thought they had found a paradise. The next winter the snow fell steady and deep. Without enough hay or feed, the settlers attempted to drive the cattle over the mountains through six feet of snow. Many cattle were lost. Some “squatters” left for milder climates. Those who stayed had learned to make hay while the sun shone. At that tim, the whole valley floor waved with tall, lush bunch grass which was there for the harvest. Roseberry became a thriving town and was the largest town in the valley until the railroad came in 1914. It was a “dry” town because the deed for the town site included a clause that no liquor could be sold on the property. Among the thriving businesses were: a hotel, bank, drug store, flour mill, Advocate newspaper, harness shop, general merchandise store, hardware store, restaurant, soda fountain, creamery, brick kiln, town-room school and a church. Another Post Office was established at Spink, three miles north of Roseberry about 1900. Ms. Lydia Spink was the Postmaster there and operated it until 1914 when the railroad came. It seemed to be a policy of the railroad company to miss the village areas. Hense after 1914 Roseberry declined and Donnelly sprang into being as did Cascade. The town was named after a Mr. Donnelly who was a prominent railroad man at the time. Call Us: Belinda (208.440.5163) or Gene (208.340.0139) - Please leave a message and we will return your call within 48 hours.